We are so excited you’d like to contact us! Whether you have a question, comment, want to share a DIY Project, want to guest post or found a good deal you want to tell us about we’d love to hear about it. Are you looking for advice from the readers of TTC? Great! Most of the ideas posted here are the result of emails from readers, so keep ‘em coming! Simply use the contact form below. Be sure to read the guidelines first for Guest Posts. You can also submit your post directly to the page. Try the Search feature in the sidebar to the right. Just type in a few key words (ex. pasta recipe) and you’ll probably be able to find what your looking for pretty quickly. 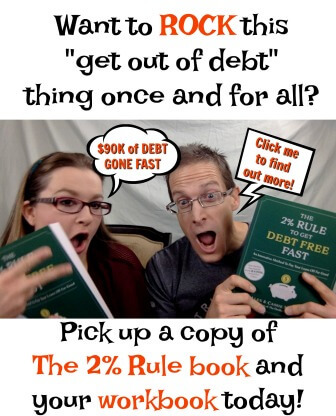 Noticed a site problem with The Thrifty Couple? Thanks for taking the time to let us know! Leave us a comment below and we will be sure to get it fixed immediately. 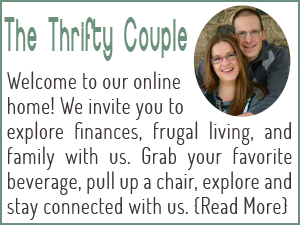 Interested in advertising on The Thrifty Couple? No problem. Visit the PR, Advertising and Partnership page for complete details and Media Kit. Sure! Just submit to the form below and we’ll do our best to contact you within a few business days! The link on how to start a worm farm does not work. :(, Thank you for your site, I love it! Do you have information about Christian travel network. i know the Mennonites have places that you can stay at they’re house and they stay at yours. I’d like info about cheap or free travel in exchange for some one to stay at my house. Hello. I have been following you on FB for some time now. Today I subscribed to your newsletter. I must say I’m feeling overwhelmed today – I want to continue to receive ALL of your wonderful ideas, recommendations and deals so ……My question is this; what is the easiest formate to do this in? Right now I pull your site up on my phone. As I am losing my eyesight this small screen is probably not my best choice. When I can I will switch to a larger computer screen. I just want to read your entries everyday and avoid all the advertisements. Please help. Do you have a recipe for Mr. Clean erasers? Thank you. Hi there:) My question for you is: are the affiliated links safe if I should accidently click on one? I really appreciate your disclosure that is posted everywhere! I did read your policy but didn’t get clarification if these sites are safe/malware… see, I have something crazy going on with my computer and im trying to weed out possibilities and this is my fav, on it all the time! We don’t have any malware or unsafe links. Even though there are hundreds of add sources, we only use the top 2 reputable ones on our site – Google and Infolinks. They are safe, reputable and the top networks so there shouldn’t be any issues at all as we try very hard to not have anything unsafe 🙂 I hope that helps answer your question! I’ve been trying to look at your gardening links but they are double-lined and take me to other off-site links such as Kelly Blue book. All of your links seem to be this way today. Is that normal? I’m excited to start my own garden and would love to learn how you have been doing yours. Love, love, love your site! I just recently stumbled upon it.. and am trying to put together my home binder. Can you tell me if there is a printable ‘recipe’ for your liquid laundry detergent? I can only locate the page with the step by step instructions and cannot seem to print. Are the home made cleaners good for a septic system? Those of us that live out in the country have septic systems, and you shouldn’t use anti-bacterial soaps and such. I have been reading your post on the oils and cleaners, so I was just wondering. You can’t kill the good bacteria in your septic system, that is what eats the paper and all. The hardwood floors (1950) in my new home appear to be sealed with wax. What suggestions do you have for cleaning them? I’d also like to know if you have a DIY recipe for laundry detergent that is hypoallergenic & does NOT contain fragrance. My husband is asthmatic and struggles with allergies. Some of the ingredients listed in several recipes I’ve found online contain fragrance. I have been trying to open up the recipes about 10 camping recipes. It keeps taking me to lots of ads but no recipes. Could you help please? Just click on the name of the site that has the idea after the @. It is a link to the idea or recipe. Hope that helps! I am looking for a homemade eczema cream you had (?) with coconut oil and oatmeal. I hope your day is going well. 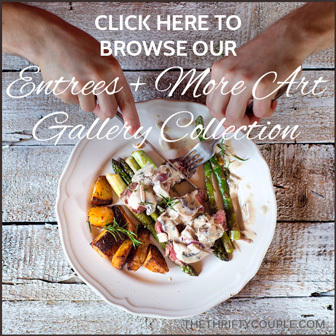 I wanted to get in touch with you today to inquire about guest contributions for your site, thethriftycouple.com. 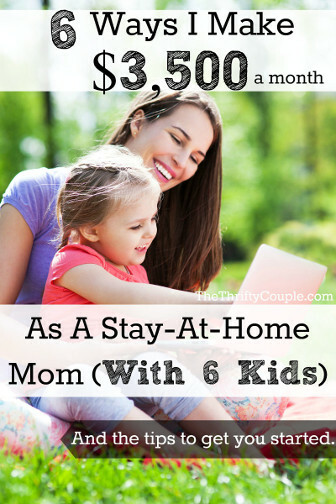 I have a great infographic that I believe your readers would love. It’s a tongue-in-cheek infographic that covers practical ways to save money, including hilarious references to the Game of Thrones series. It also includes a bunch of interesting statistics as well as illustrations of the most well-known characters of the show. I am looking forward to hearing back! I was looking for the article about about $10 for a week of groceries with the menu to go with I loved the article and wanted to share it but can’t find it. I was looking for the article that described your property and how much you have growing in a small space. Do you archive articles and is there an index? I love your site and all the wonderful information – I just wish I could rfer back to particular items and info. Love you website!! Can you tell me how you get TV on Netflix? DISH has increased my bill $30.00 a mo. ; now $73.00 & I don’t even have “on demand” or any “movie channels”. Plus they raised my internet to $57.00 a mo. on TWC. I am on a fixed income and sure could use some help help with Netflix. I remember you having it on our site a while back. Thanks for you help!! I keep trying to download some of the information and my computer keeps showing me harmful page. What am I doing wrong? Is there a powder form of milk that is not cows milk to use in the sos mix? We do okay with Almond, Rice and probably Goat as he can eat goat cheese but no soy or dairy. I see so many casserole dishes that this would be of benefit to use because I can’t just use a can of cream of whatever. I was amazed when I went to look for white cheddar powder cheese for my popcorn (he doesn’t do popcorn) and found it on the internet. I honestly haven’t looked for powdered kinds of milk but I’m sure I’m not the only one with the question so I will ask it anyway before I look. I enjoy your site so much. So many neat ideas and I likely will use but a few but it is still interesting to see what all the other people have found to work for their situation. Thanks for sharing your time, your life and your helps. Hello, I just read your article about Roku. Thanks so much for the information. What do you guys use for internet connection? Hi, I love your website. Thank you for sharing all your efforts and information with us. My question is about aged, no wax floors. I striped them with the manufacturer’s recommended product and I can’t tell any difference. I’d really like to take a commercial stripper to it, but I am afraid of what it might do to the floor. I don’t want to make it worse. I don’t like the yellow that looks like old wax, but the worst is the grime that doesn’t come up. There are also black marks on the floor because recently the refrigerator was moved out temporarily from it’s cubby and left marks. What can I do with this unsightly floor. It is a off white Armstrong pattern. Thanks for your help. Cassie, I made the apple roses yesterday for a “pie” auction for the American Legion. I put 8 in a round disposable aluminum tray with a liner of green tissue paper. the trays had a clear lid. Those rose bouquets brought $70 EACH!! Amazing! I feel so proud of bringing something to them that was so unique and that the bidders really enjoyed. Thanks for introducing them in your email subscription. It’s one of our favorite desserts! I just wanted to say congratulations on the new addition to your family. My husband and I also experienced a miscarriage in our early years and felt the impact as well. Then our second one came along and went ten months and when labor was induced her heart rate dropped over half of what it should have been. She was a very lethargic baby but now is grown, married with a child of her own and also helps her sister. I printed out the recipe on How to bake hard boiled eggs in the oven and so my husband tried them on Saturday April 4th and they had brown spots and were in general brown on the whites. My husband said that the eggs were very easy to peel but he wants to know what to do about the brown spots on the eggs? They looked nasty and we were going to use them for Easter Day but I told him that we could not so he went back to the old way and boiled them on the stove in water! We still have the other ones and I am going to make egg salad with them! So we want to know if you had any suggestions to keep this from happening? I tried to subscribe to your site, but kept getting rejected. How may I change this? Have enjoyed what I have read. Found this through today’s article about Depression Cake ( which I have made since the 1970’s) at “Living On A Dime”. Thanks for any advice. We would love to be rid of our cable service whose rates just keep increasing. Do you have to have an antenna of some kind before you can hook up the Roku system and use it? Thank you. I know you’ve posted in years past about free or very cheap personalized Christmas stockings. Do you have any information or a link for this year? That’s a great question Jacque. We will look into this and let you know! Sincerest thanks for the article featuring the Color911 app that I recently found . SInce the article came out I created a whole new website and new version of the app which is better than ever! The new Color911 blog also features all kinds of color related articles fill of color tips and inspiration. Please check out the new app at Color911 at the app store now at a reduced price. Would you like 5,000 to 10,000 interested people coming to your website fast? Across the country – not by city or state. full page popups of your site. Our service is like no other. I hope to see you on our site.